Following a report that details painful school nurse shortages in North Carolina, a state legislative panel will ask for new standards and programs to address the problem. Members of the General Assembly’s Joint Legislative Program Evaluation Oversight Committee approved that report and advanced a bill draft Monday that would do several things, but chiefly orders the State Board of Education to ready a new goal for school nurse staffing levels and a plan for meeting those levels by January 2020. This year’s report from the nonpartisan Program Evaluation Division estimated that it would cost the state between $45 million and $79 million to meet a 1:750 nurse-to-student ratio recommended by the state board in 2004 or the one nurse per school ratio prescribed by the National Association of School Nurses. Public school advocates say insufficient nursing levels in schools will spell major problems, particularly for students who lack access to healthcare outside of school. While the bill draft that advanced out of committee Monday lacks any recommended funding levels, it would direct the state to prepare a plan for combining two school nurse programs—Child and Family Support Teams (CFST) and the School Nurse Funding Initiative (SNFI)—run by the Department of Health and Human Services and the Department of Public Instruction. Lawmakers are also moving to address Medicaid reimbursement for school nursing services. 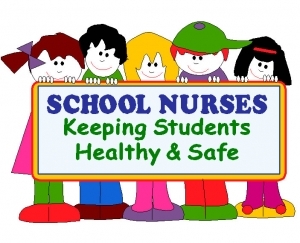 This month’s PED report pointed out that about 60 percent of medical procedures performed in schools are done by employees who are not nurses. That’s why few local school systems file for Medicaid reimbursement because, under the state’s Medicaid plan, such care must be provided by a registered nurse as directed by a physician or the students’s Individual Education Plan (IEP). The bill draft would require DHHS to examine rates paid for school-based nursing and craft a plan for establishing Medicaid reimbursement for school nursing services. DHHS would have to report to the legislature by December 2018 on these provisions. Watch here as Liz Newlin of the School Nurses’ Association of N.C. explains the problem facing North Carolina school systems to Policy Watch’s Rob Schofield.